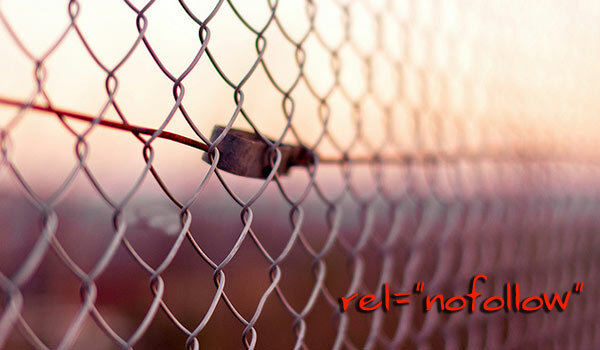 The rel=nofollow tag is a simple way to tell search engines to not follow either a particular link or to not follow all the links on a particular page. Search engines register rel=nofollow and from it conclude that a particular link passes no value. Rel=nofollow means that search engines do not use PageRanking or anchor text across denoted links. Essentially, they are dropped from the web. This helps you gain SEO authority by spotlighting pages that are more relevant and benefit most from an SEO boost, instead of subpages that are of lesser importance. Here are some tips for mastering use of the rel=nofollow tag. You should use the rel=nofollow tag with user contributed content, especially if it is not pre-approved by you. This includes comments, forum posts and user profiles. These links are indexable and make your site more susceptible to spam. Comment spammers can see that certain sites are using nofollow and accordingly will pass up spamming them. To reward regular, trusted contributors you can remove the nofollow tag. Since you are not responsible for the content of user generated material you do want to tell search engines that you trust, or endorse it. Search engines’ consideration of your endorsement of paid sites or ads can influence and negatively impact their analysis of your site. Using the nofollow tag shows search engines you don’t endorse these sites and also helps them identify them as ads and disclose the nature of their paid relationship with other sites. Many search engines feel that paid linking disallows for “natural linking” (because paid links unfairly reroute) and appreciate use of the nofollow tag, what they see as help in generating relevant, organic results. Using nofollow on sites that don’t pertain to search engine bots, like “Sign in,” “Register here,” “Terms and conditions,” “Shipping info,” or labels in blogs, helps them crawl and index other sites you’d rather see made relevant. Often pages that regularly withstand change (e.g. “about me”) can be nofollowed. If there are any links on your site that you yourself consider of lower quality (either available on other sites or for some other reason not necessary to be indexed) you can use the nofollow tag to help your site from searching poorly. You can also use the nofollow tag if you are citing a source as a negative example. If you are looking to complain about another site or offer critique on a site you truly don’t endorse, then why generate further buzz? Using the nofollow link allows you to publicize your own analysis without offering link equity. When deciding if using nofollow is for your site know the idea “no publicity is bad publicity” can apply in some cases. Apparently the smaller the site the less benefit rel=nofollow has to offer. If you have a negatively charged relationship with a search engine, using nofollow (even when appropriate) can hinder SEO authority.